Isn’t it ironic that otherwise reliable appliances and electronics only seem to malfunction when you need them most? Actually, it’s not ironic at all, considering many people subject their appliances and electronics to rigorous use when they’re needed most. Cars are more likely to break down during highway driving at speeds above fifty miles per hour, computers become more susceptible to malware during frequent downloading and browsing, and your air conditioning is at a greater risk of failure during those hot summer months when you crank it up to eleven. We can’t exactly provide any insight for why your car or computer isn’t working properly, but we can offer a few common explanations for air conditioning and HVAC failure (as well as our condolences for your car and computer). 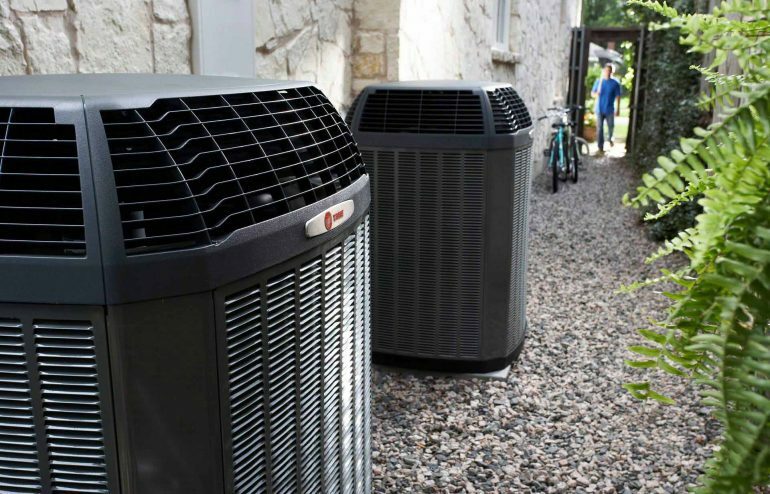 If your air conditioner can’t detect the right temperature, it will most likely shut off prematurely — before reaching the desired comfort level. Installing a new thermostat can prevent your AC from cycling on and off. If your air conditioner suddenly stops working, you should probably check your circuit breaker before impulsively replacing it with an expensive new unit. Many people don’t realize, however, that it’s usually necessary to give your AC system 15 minutes to cool down after resetting your power. If your cooling unit doesn’t work after resetting the power and waiting 15 minutes, you may have triggered a limit switch, in which case, you should call a technician. Like Fred’s Heating and Air, for example. Built up dust and dirt in your ductwork and in your air filter can lead to airflow backup in your cooling unit, resulting in a frozen evaporator coil. Ice and frost around your evaporator coil is what causes your air conditioning unit to drip water onto your floor. Just make sure to keep your ducts clean and your air filter fresh. Also, you can inspect the inside of your cooling unit for frost or ice. We realize this is a pretty vague tip, but your air conditioner could be damaged in one of many places. It could be the compressor, the electrical connections, or simply damaged fan blades. Refrigerant is basically the “conditioner” part of your air conditioner. It cools the air inside your AC unit. If your AC is low on refrigerant, you probably have a leak somewhere in your system. If this is the case, call Fred’s Heating and Air for immediate repairs. For expert 24/7 heating and air conditioning repair, call Fred’s Heating and Air in the Omaha area at 402-779-7065, or contact us online. When your energy auditor comes to your home, he will fit the frame of one of your entrance doors with a special assembly, which contains a heavy-duty fan. He will slowly ramp up the fan to full speed to draw air out of your house. This will depressurize your home, and air from the outside will come rushing in, via all the vulnerable spots. Your auditor will identify those spots, which are typically areas where wires, cables and plumbing lines come in from the outside, door and window frames, around baseboards and kitchen soffits. Your auditor will help you draw up an action plan, which will include not only the air leaks, but also areas that need extra attention, such as your attic. Small air leaks can easily be caulked and weatherstripped in a weekend or two. You might want to work with your HVAC contractor to handle additional projects, such as insulating your ductwork. Your auditor might even recommend a new heating and cooling system. Whatever you’re doing to boost your home’s energy efficiency, contact Fred’s Heating and Air. We can help you make your home as weathertight as possible. We serve homeowners in the Omaha-Council Bluffs area. Like you, we live here, so we know just how cold it can get in the winter, and how hot it can get in the summer. Give us a call. As cold as it gets in Omaha and Council Bluffs, winter can actually be a very pleasant season. Yes, there’s snow to shovel from time to time, but there’s no grass to mow, no weeding or planting to be done, no outdoor projects to be completed. But there’s one project that you should seriously consider doing this winter. 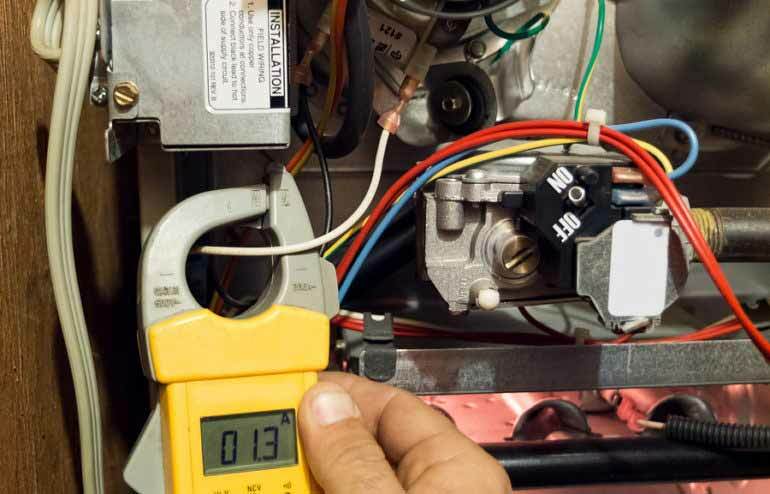 Now’s an opportune time to call your trusted HVAC contractor and have a thorough home energy evaluation done. The sooner you do that, the sooner you can start saving. A home energy evaluation gives you a clear picture of just how efficient — or inefficient — your home is. Your energy auditor will use highly sophisticated equipment, such as a blower door test, to locate sources of air leaks in your home. These spots include places where lines and cables enter your home, as well as drafty doors and windows. The tests will also identify places such as your attic that could use more insulation. Your auditor will inspect your home-comfort system and your ductwork, finding spots that are leaking and need repair. At the end of the evaluation, your auditor will draw up a list of recommendations and help you prioritize the improvements your home needs, which may range from replacing your old doors and windows with energy-efficient units to getting a new heating system. You are under no obligation to buy equipment from your auditor, and you can complete the projects as quickly or as slowly as you like. If you’re interested in having an energy evaluation performed on your home, contact Fred’s Heating and Air Conditioning in Omaha and Council Bluffs to schedule an appointment with a professional energy auditor. With a few more months of winter ahead, it’s a good way to start saving money now.